The Gida Bavari AVA Clutch, made of the finest quality of Italian patent leather and 10k gold finished hardware, is now being offered at 15% off at gidabavari.com. 10 percent of the sale will be donated until May 31st to the American Red Cross in efforts to continue supporting Japan's Tsunami Relief. This very roomy clutch has a subtle shimmer and a spacious interior with two zippered pockets and credit card slots offering a hint of glam to any outfit. 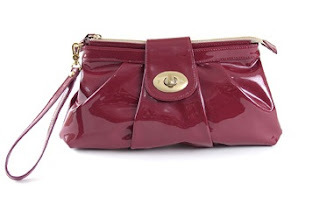 To shop the AVA Clutch in Twilight Patent Leather and get 15% off, just enter HEARTJAPAN11 at checkout.